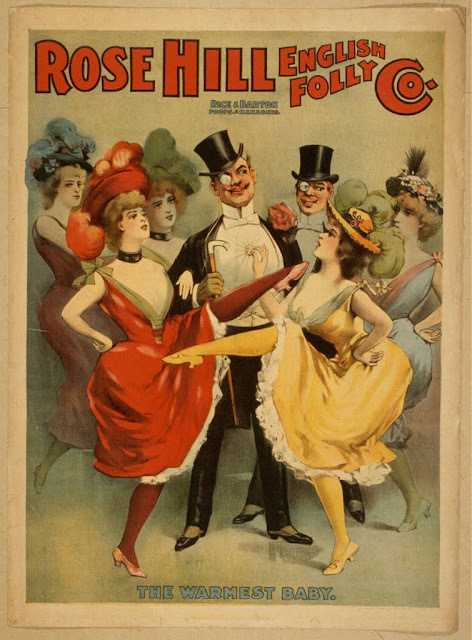 Title: Rose Hill English Folly Co.
Rose Hill English Folly Co. Date Created/Published: Buffalo, N.Y. : Courier Litho. Co., c1899. Medium: 1 print (poster) : lithograph, color ; 72 x 53 cm. Created and "copyright 1899 Courier Litho. Co., Buffalo, N.Y."
Rice & Barton, props. & managers.